Back in 2010, I began what was a series of four moves over the coming six years. During this time, I learned a great deal about relocating—particularly how expensive it can be. 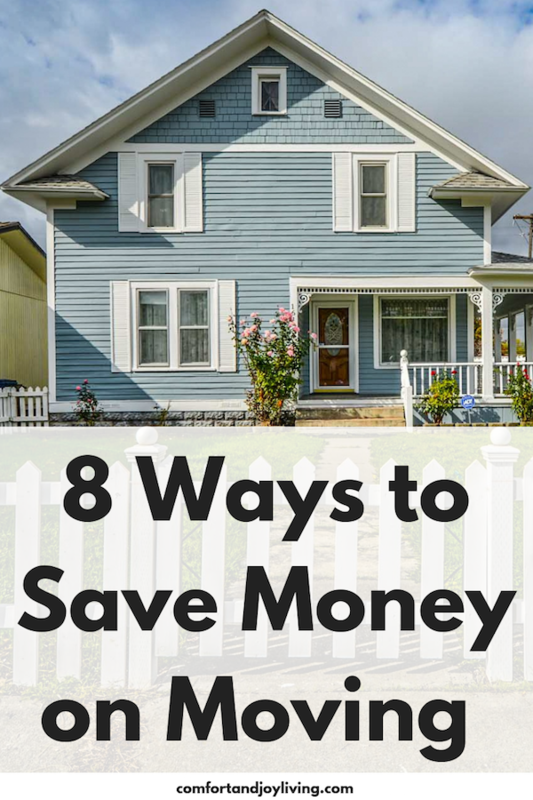 I also learned quite a bit about how to save money when changing homes. While many moving expenses are unavoidable, there are a number of ways to keep costs down by planning ahead, comparing prices and rethinking your presumptions about your moving options and expenses. Generally, rates are higher on weekends, during the summer and when college sessions are beginning or ending (when college students are moving in and out of their dorms). If you can, move on a weekday during the early winter or early spring. This can save you hundreds of dollars! There are so many coupons and deals out there for moving expenses. Just by following some of the big name moving companies on their social media may be able to save you some money. RetailMeNot is a great place to get coupon codes. Here’s a little known secret. Pick up your moving packet from USPS BEFORE you move. It may be easier to pay the $1 fee and do it online, but I would suggest picking up that packet. Inside it, you will find several coupons that are quite helpful. After you move, places like Home Depot and Lowe’s will send you out percentages off any purchase up to $1,000-$2000 purchase. All of these coupons are extremely helpful in saving you a bundle of money! You can get free boxes from grocery stores, local restaurants and even pharmacies. Just call around and ask if they have any or if they would be willing to save some for you for a day. If you do this a few times, you should be able to get more than enough boxes. Also, check on Craigslist for free boxes from someone else’s recent move. If you plan ahead, you can get packing peanuts, moving boxes, extra newspapers, everything that you need right there on Craigslist for free! Most people tend to downsize in their new place. This is a big mistake. Whenever I have moved, I try to sort, organize and downsize everything that we won’t need at the new place. This is why…after you get to your new place, you’ll have a ton of boxes everywhere that you won’t know what to do with. I’ve heard of people keeping those boxes of stuff in their garages or basements years later. Why, when everything can already be put away if it’s not there to deal with afterwards. For me, this has made moving much easier. This may not seem like a money saving tip, but if you can get rid of some things before the move, you may be able to use a smaller truck, or if you’re hiring movers, you may be able to cut the amount of hours that you have to pay them for. Get help from your friends, your church, and if you have to, you can hire a local moving company by the hour and tell them that you only need them for 1 hour for the most heaviest of items, like the refrigerator, washer/dryer and anything else that you have that’s very heavy. They generally charge a flat fee and count the driving tie from them to you, then to your new place as well. Moving companies can save you lots of time and pain, but if you can do most of it yourself, it will save you a lot of money. This is a pretty big one where rental truck companies rip people off. A lot of people don’t know this, but your car insurance company may actually cover you for what the rental truck company is offering for insurance, so you can probably avoid that extra cost altogether. If you’re moving a long distance, consider renting a pod. Doing this will save you money because you won’t have to pay for gas, the use of the truck or for a professional moving company. You just have to pack up the large pod, a company comes by with a truck and takes it to your new place and you unpack it yourself. This is usually a lot cheaper than driving a truck yourself as well as hiring a moving company to move your stuff for you. Be sure that when you return the moving truck, the gas filled up to where the company said it needed to be. If you don’t there are usually large fees involved and they charge more per gallon that you would pay if you had done it yourself. Do you have any tips for saving money on moving expenses? I’d love to hear them! Leave a comment below.